So yeah. This just happened. 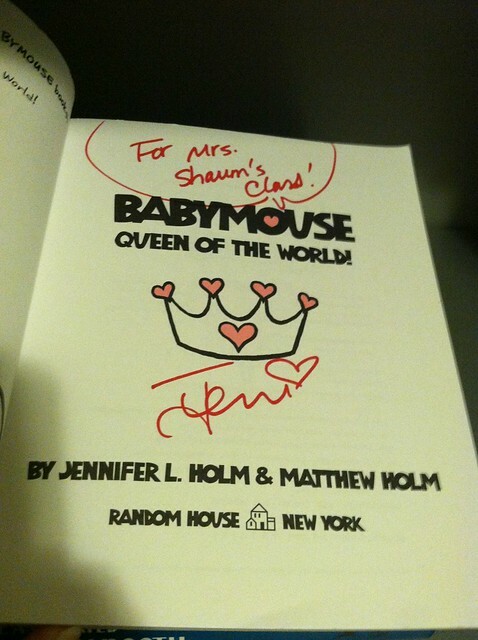 The past few months I've been lamenting over the fact that my signed copy of Babymouse has gone missing. I've lectured my students about being more responsible with my books. I've guilt tripped them by saying that these books are for the whole class and it's not fair if someone takes them and/or loses track of them in the black hole that is their locker. I've even resorted to the ever effective, "I won't be mad at whoever has it. Just return it to its rightful place on the bookshelf and all is forgiven." All to no avail. But Christmas break brings out the organizer in my husband and me, so this evening he decided to clean off the bookshelf in the office that was covered in his tools and put them back in the garage. 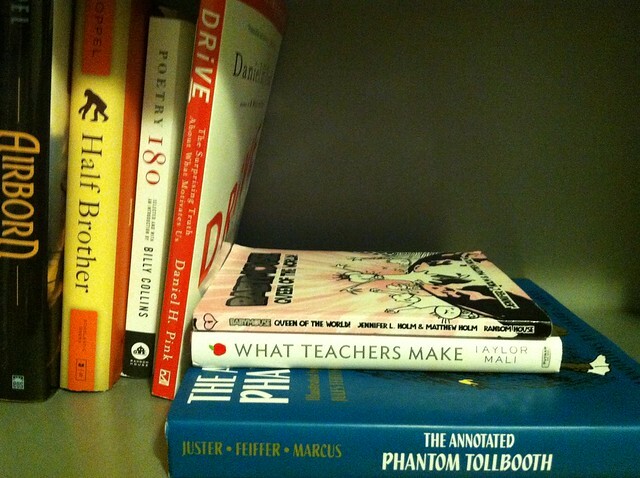 Upon closer inspection of our newly cleaned bookshelf, what do you suppose is the first thing I noticed? but I'll use them anyway. Yes, that would be my signed, personalized copy of Babymouse. I do believe a great big apology to my students and some groveling is in order on the first day back to school in January. But hey, yay kids! Babymouse is back! A moment like this, I think Babymouse should get the last word, don't you?